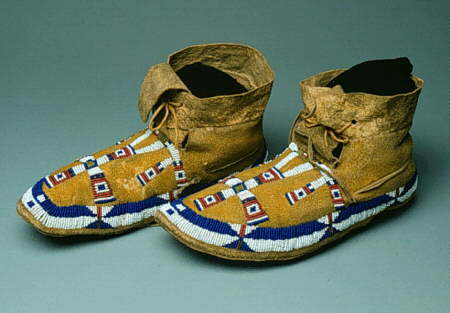 Cheyenne moccasins with Thunderbid motif on vamp. 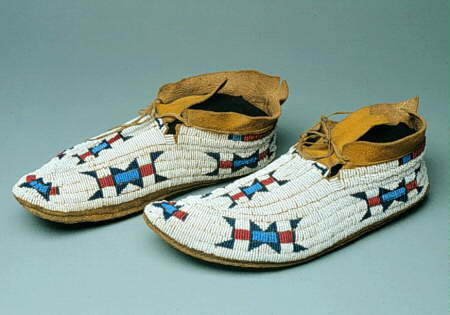 Cheyenne beaded moccasins with a white background. 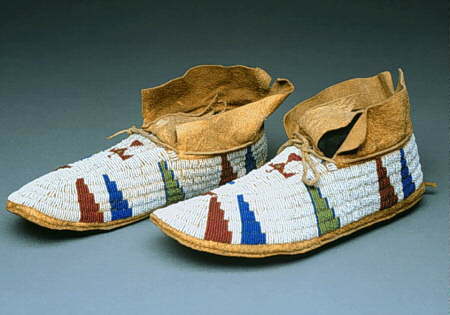 Cheyenne moccasins fully beaded with Thunderbird motif on vamps. 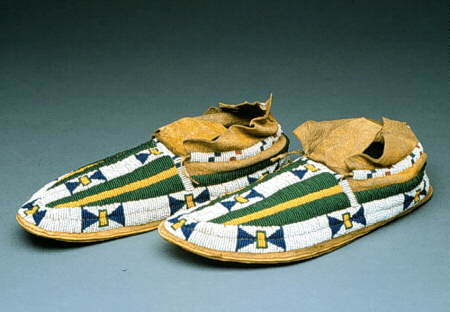 Cheyenne partly beaded moccasins with maltese crosses. 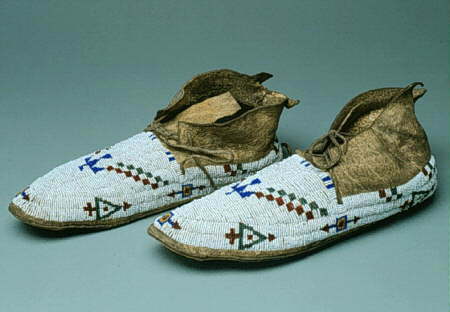 Cheyenne moccasins with buffalo hide uppers and rawhide soles.